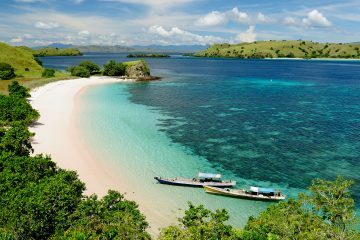 The secret is out and people from all corners of the globe are flocking towards one of Indonesia’s premier diving destinations, the Komodo Islands. Apart from its beautiful rolling hills, stunning beaches, and fiery dragons, people spend their time exploring the vibrant marine life. With crystal clear waters full of sharks, manta rays, corals, and large fish, Komodo National Park is a world premier dive destination. While you can spend your time just doing day dives, the best way to explore the many top notch dive sites is naturally by liveaboard. 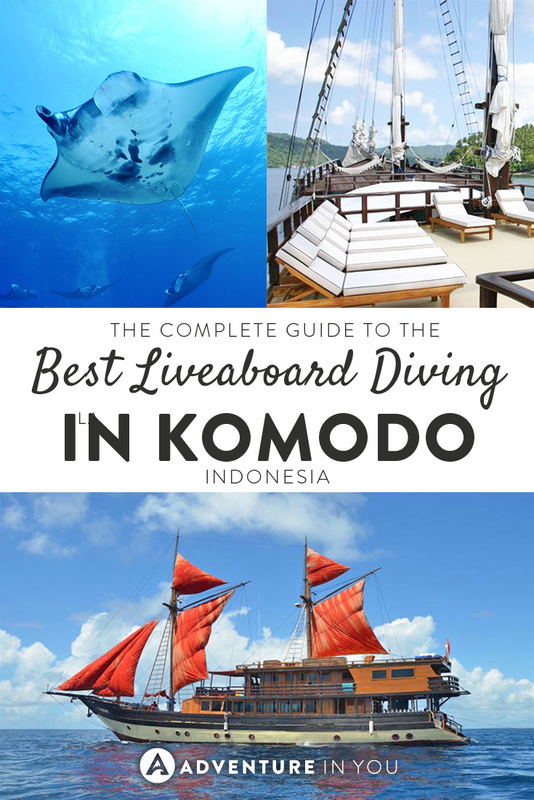 To help ease the process of choosing which liveaboard boat to go, read our complete guide to the best liveaboard diving in the Komodo Islands and buckle up for an adventure of a lifetime. The Aurora is a 40m traditional sailing yacht equipped with air-conditioned cabins with en suite bathrooms. It has 3 tenders, nitrox, rinse tanks and well-equipped dive gear rental. They have a team of professional marine biologists, underwater photographers, and video operators who can offer you guidance as you explore some of the best and most diverse oceans in the world. 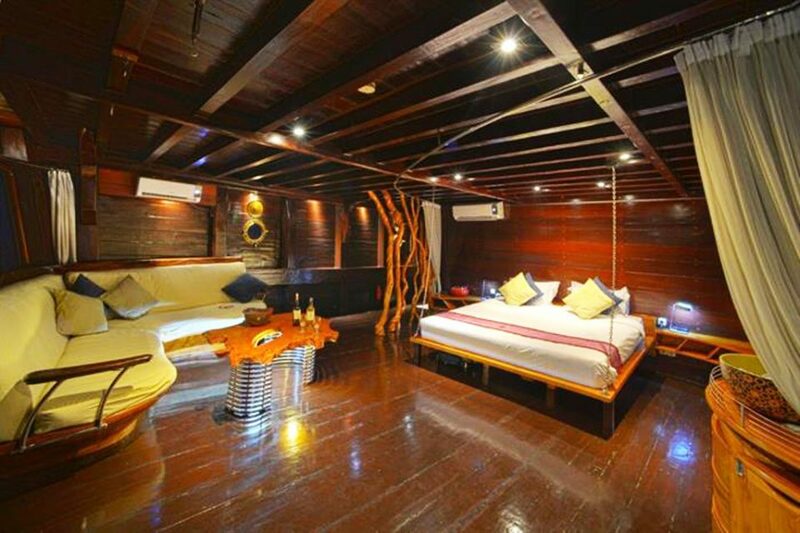 The boat features a sun deck, a non-diver friendly area, a photography station and an indoor saloon where you can enjoy your buffet style meals and drinks. 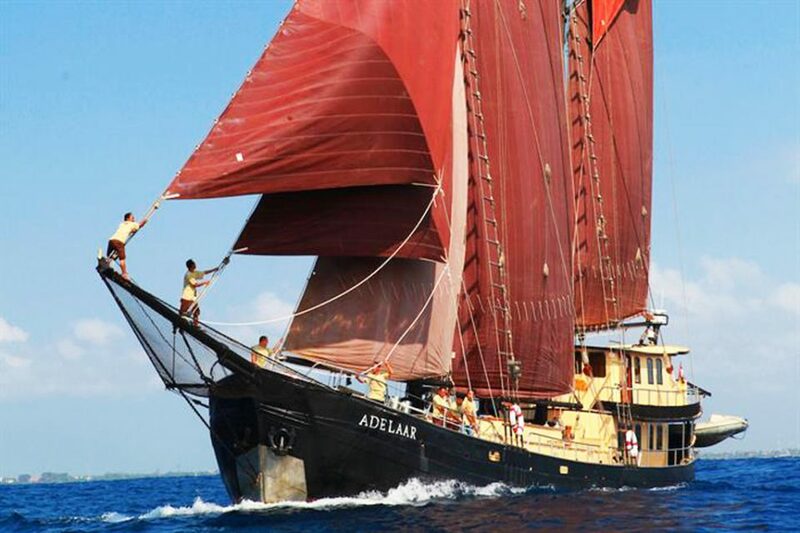 The Calico Jack is a beautiful 30m, traditional Indonesian sailing boat, fitted with modern amenities and furnishings. 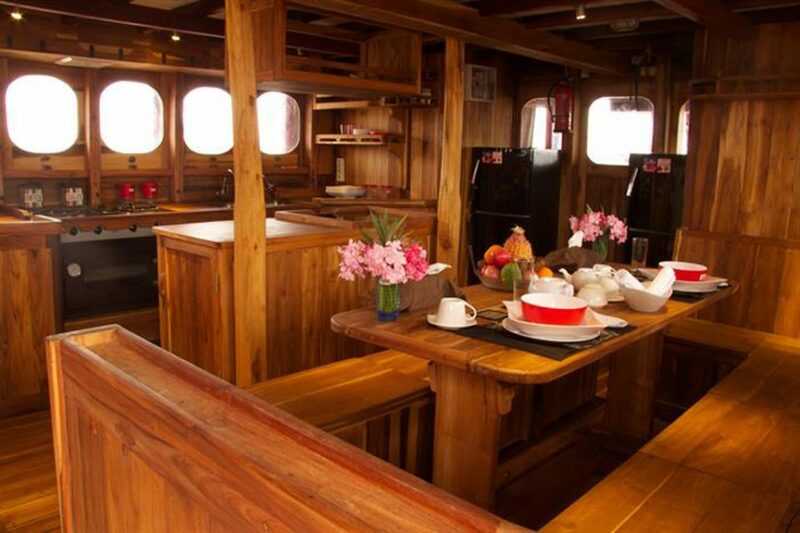 They have a large galley and salon as well as a beautiful outdoor dining area. For your dive needs, it has photography stations, with special storage for underwater camera setups. The diving platform is large and spacious, giving you room to gear up properly. Apart from serving up delicious Asian fusion cuisine, the boat also has 8 crew members ready to help you make the most out of your dive trip. 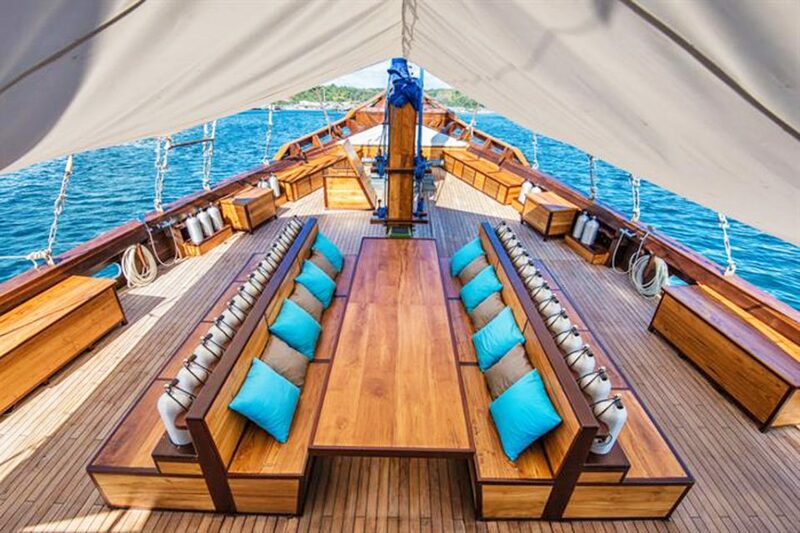 Formerly known as the Komodo dancer, this 37m luxury yacht is the perfect vessel which travels from Bali to the Komodo National Park all year round. Offering you the chance to do 4-5 dives a day, this liveaboard is equipped with a spacious deck and saloon where you can enjoy your well-deserved meals after every dive. The crew is helpful, friendly, and are willing to assist you throughout your stay. The KLM Moana is a 30m ship made entirely from teak and ironwood. With 5 air-conditioned cabins, an upper deck, and a large deck area, this is one of the best budget liveaboard options out there. 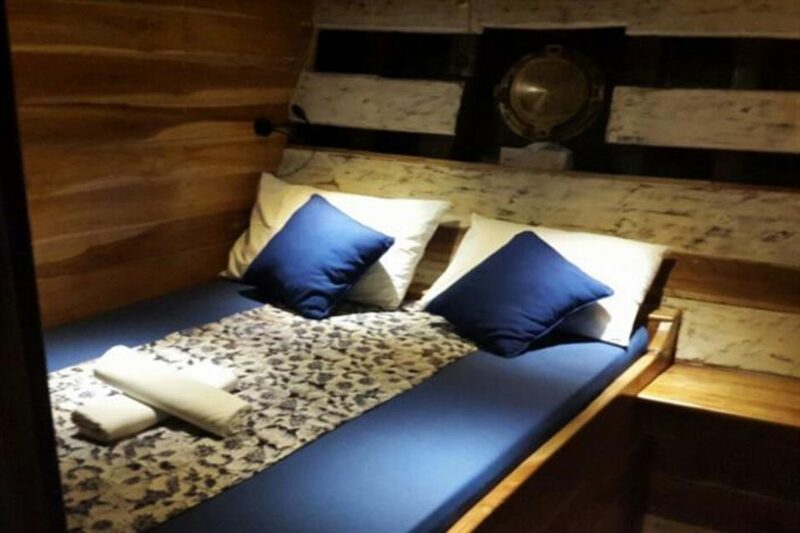 For those that want to try it, the boat also provides blankets for guest who want to sleep underneath the open stars. The food is delicious and always freshly prepared and the well-experienced crew is ready to take you around some of the best dive sites around the Komodo National Park. 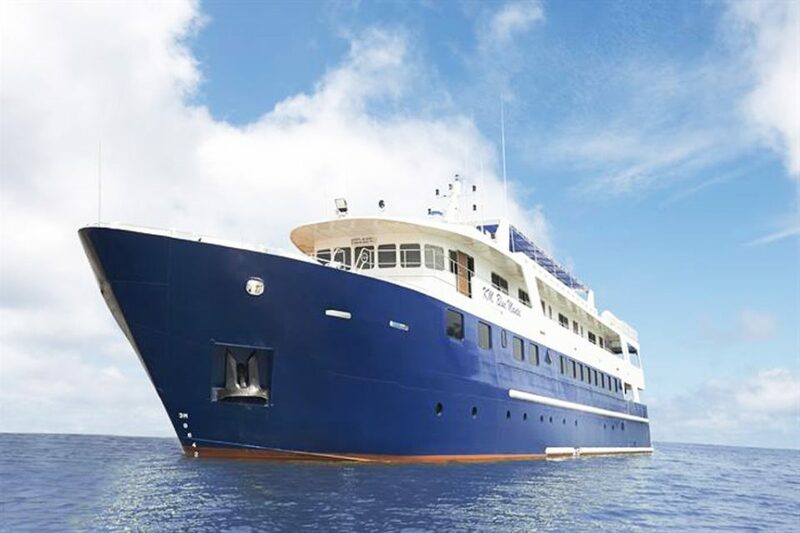 If you’re looking for a luxurious stay, whilst still not spending an arm and a leg, the 33m La Galigo liveaboard ship might be the way to go. This two-mast Phinisi sailing boat was designed specifically to cater to the needs of the liveaboard diving lifestyle. 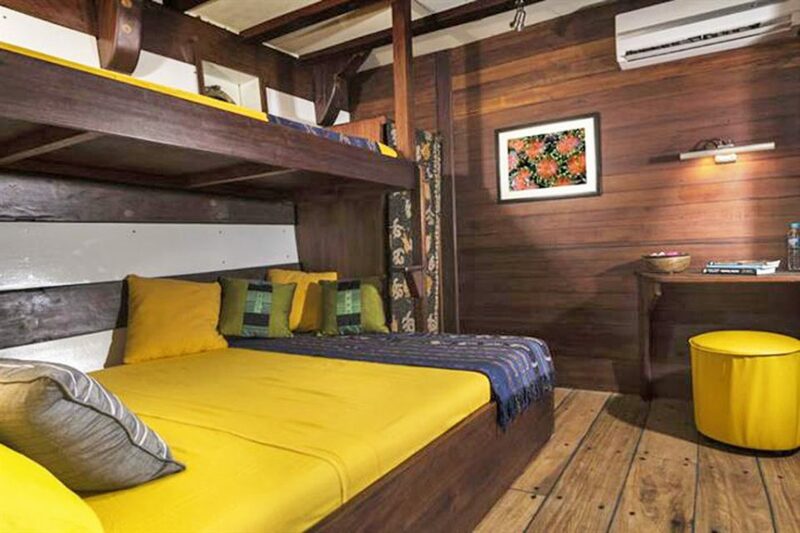 It has 7 air-conditioned en- suite cabins with American style mattresses for comfort. If you want to take it up a notch, they also have a suite which has a private balcony, 48″ HD TV and a PS4. Talk about an experience! When you’re not diving, you can also chill bu the main deck which has a large TV, a book case, and power points to get your equipment and laptops ready. 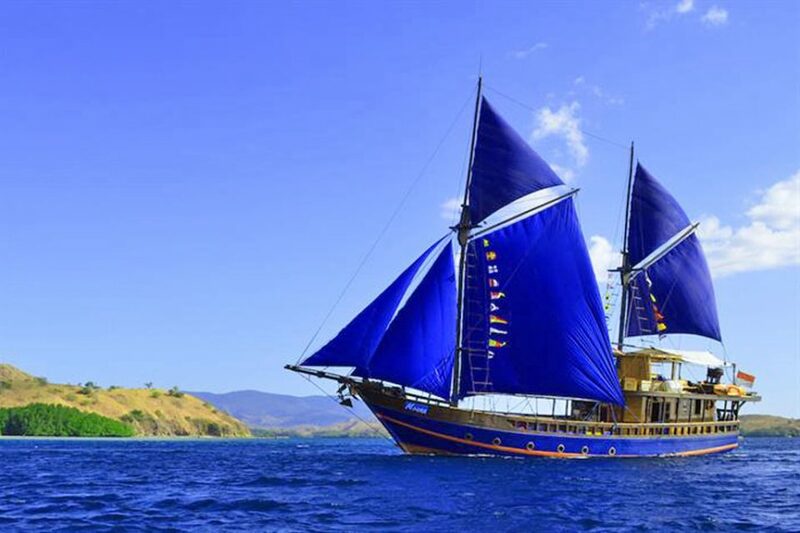 Equipped with a spacious dive deck, tenders, and photography and rinse stations, the La Galigo is a great choice for those who are looking for a good liveaboard in the Komodo Islands. Cruising all year round around Komodo, Banda Sea, the Forgotten Islands, and Raja Ampat, the 32m M/V Amabai has a very experienced crew ready to assist you through a few unforgettable days at sea. 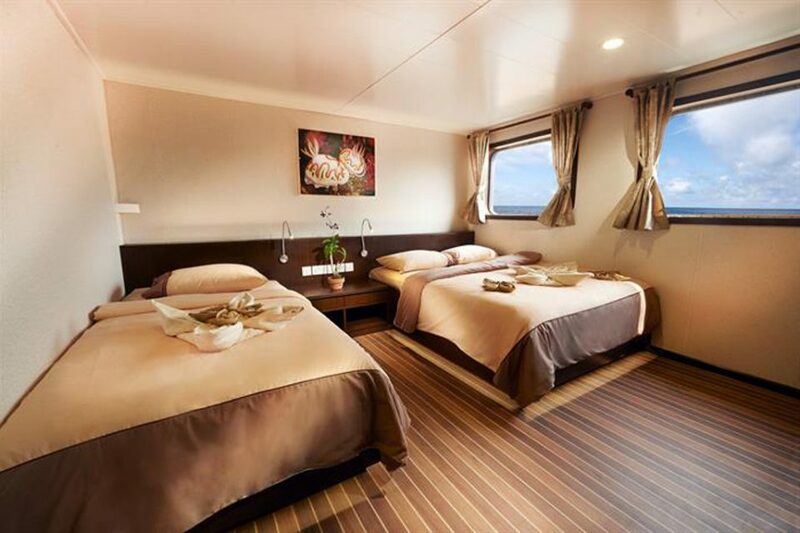 While the cabins are spacious and comfortable, the best part of the boat is the many open air deck areas where you can watch the sunrise and sunsets from. Dive amenities include a large dive deck, three dive tenders, Nitrox, and 4 dive guides. If you’re underwater camera enthusiast, you can also share your dive photos and highlights at the end of each day on the large screen in the lounge. 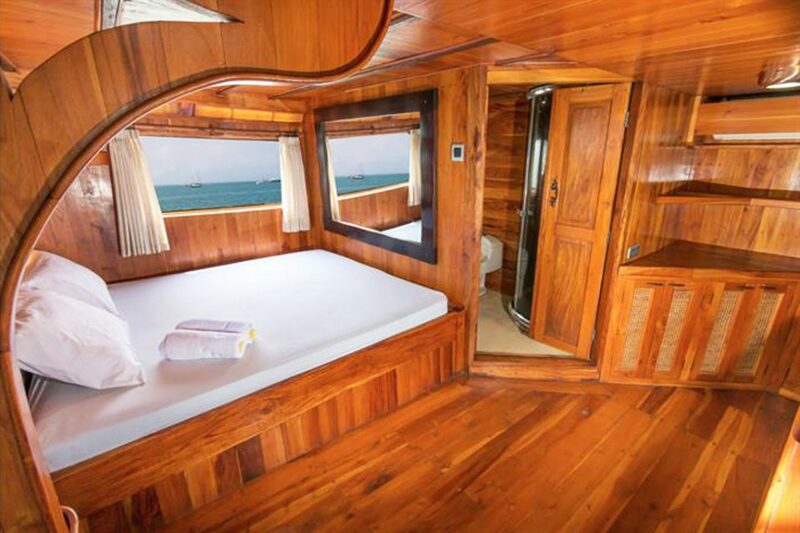 The stunning M/V Adelaar is a beautifully crafted Indonesian boat full of teak paneling, high ceilings, and en-suite marble bathrooms. Not that television screens are important when you’re on a boat this beautiful but each of the rooms are equipped with them anyways. The 10 member crew are very helpful and are willing to help you make the most out of your liveaboard experience. When you aren’t diving, the boat also has an open air deck where you can lie down, read a book, or stare out the infinite shades of blue and green. Looking for a luxurious liveaboard journey? 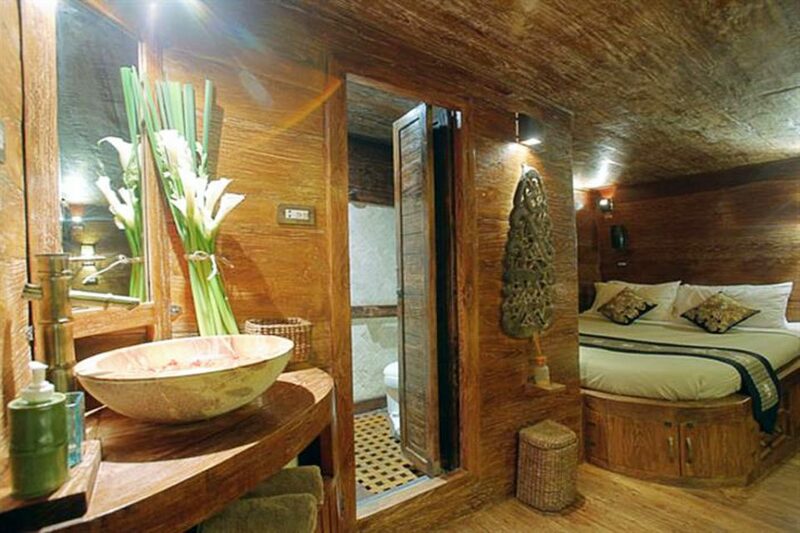 The Samambaia is a great choice as it provides the best level of comfort and luxury. The 18 person staff on board are committed to helping you make the most out of your trip. From preparing delicious International meals to freshly prepared bread and pastries, the boat has everything you want and more. 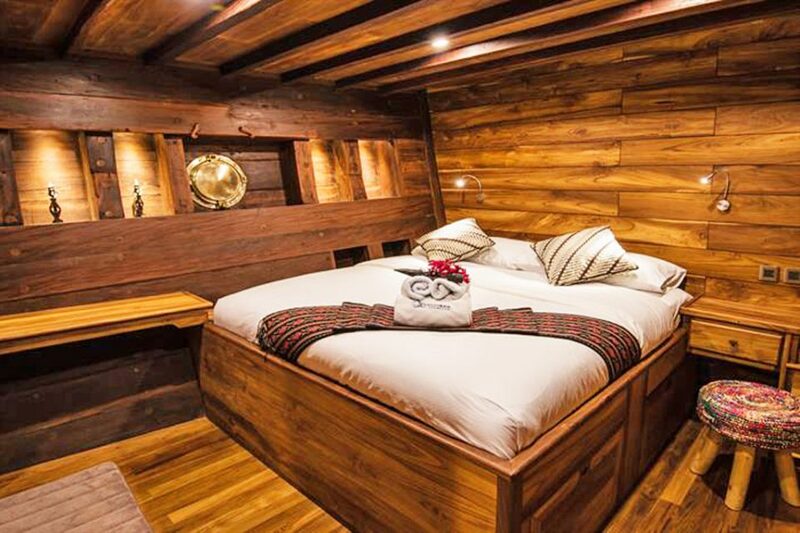 The cabins are very comfortable and is the perfect place to recharge after a full day of diving. The best part about the boat is the sundeck with comfortable loungers where you can relax as you watch the sunset or get a massage from the onboard masseuse. Divers onboard the Samambia can not only enjoy spectacular day and night diving, but a wide range of activities during the intervals such as scenic rides through lagoons and coves and trekking. If you’re out to get an unforgettable once in a lifetime experience, sail with the M/SY Arenui, a 43m boutique liveaboard committed to giving you five-star service. 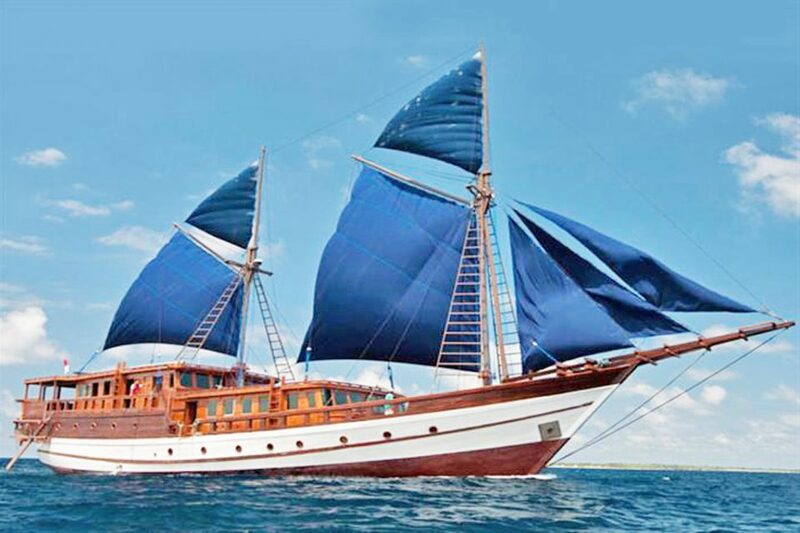 Sailing all around Indonesia, their philosophy is to spare no effort in giving guests a luxurious personal experience. The ship has 8 lavish cabins, an outdoor sky restaurant, a top deck lounge, and a variety of massage and spa treatments. The boat is also equipped with a large dive deck with rinse tanks and canopies. Definitely a luxurious experience that is worth the steep price tag. This massive 57m beauty was built with luxury in mind, making it the ideal choice for a luxurious dive holiday. 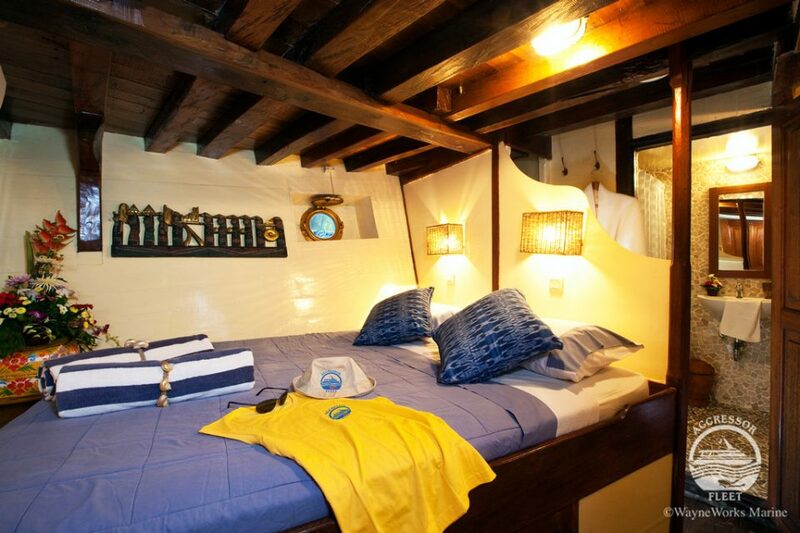 Equipped with 8 staterooms and one Master suite, the rooms are spacious and comfortable, making sure you are well rested after a busy day of diving. 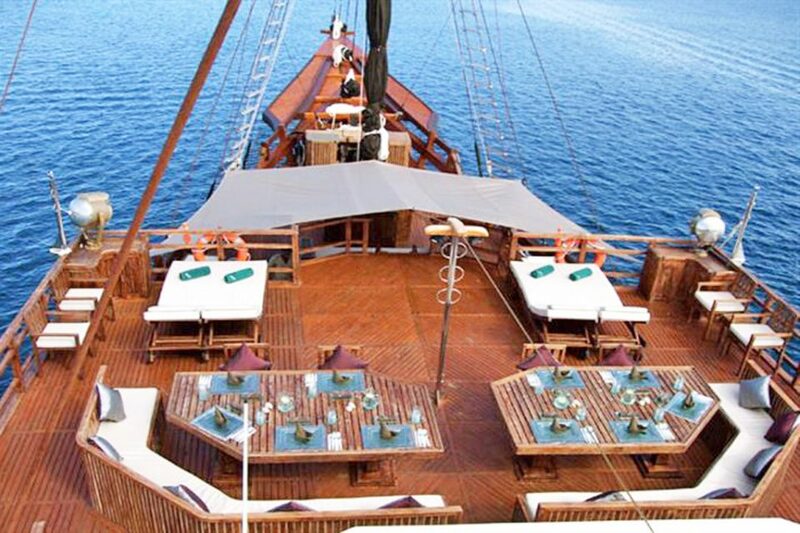 The main deck has a beautiful outdoor dining area where the staff serve a variety of International fine dining cuisines. 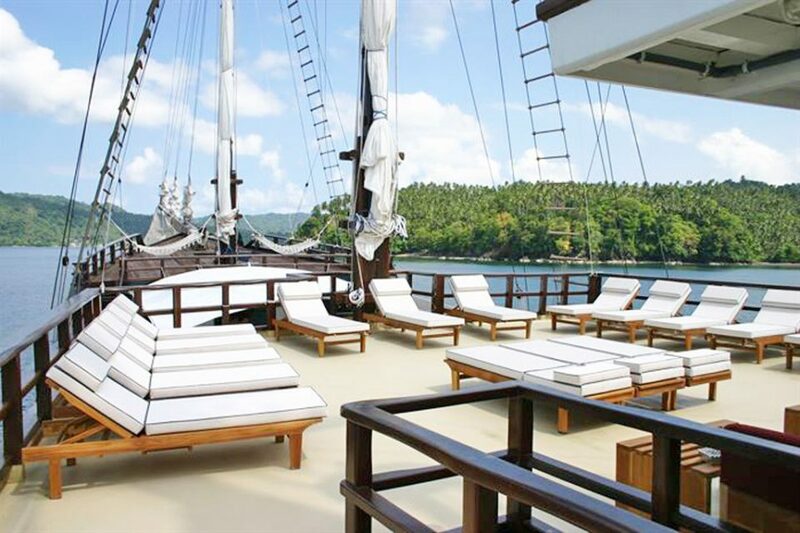 On the boat’s decks, you can also find sun beds and hammocks where you can spend your day basking in the warm tropical climate. All the food and beverages are included in this luxurious all-inclusive dive package. If you’re not big on tiny sailing boats and get a bit queasy in the open sea, this 45m steel-hulled boat was built to withstand any type of sea conditions. Designed with 14 beautifully furnished cabins that are around 20sqm big, the Blue Manta is a great choice for luxury divers. Apart from the fantastic diving, start your day with freshly baked bread as the three professional chefs on board treat you to no less that 5 meals a day. For underwater photographers, the Blue Manta is also equipped with WIFI, rinse tanks, indoor camera rooms, and blow dry stations. 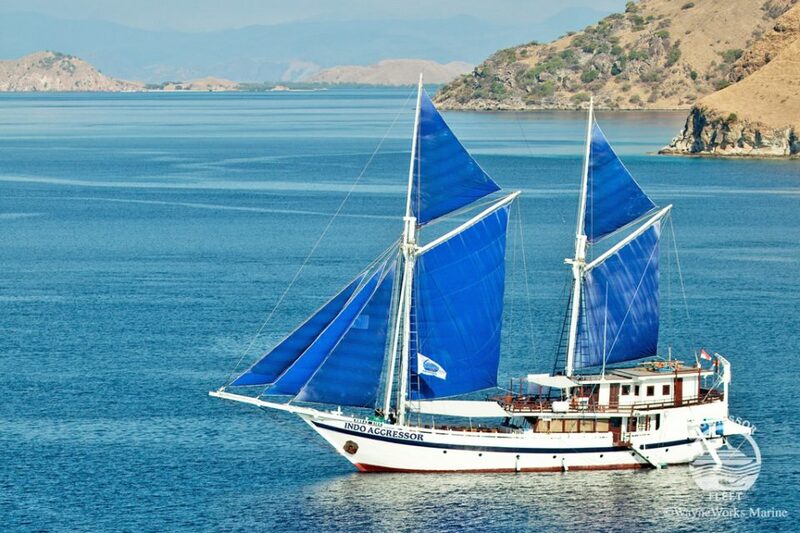 All in all, this is a great pick for those who want only the best liveaboard experience while in the Komodo Islands. Deciding when to go is probably one of the most important parts of choosing a liveaboard. 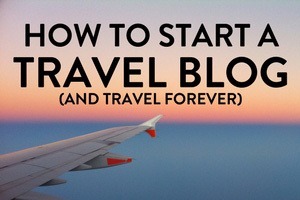 You have to find one that suits your travel schedule. 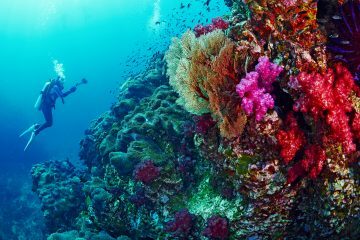 To make the most out of your diving holiday, make sure you go to Komodo during it’s best season which runs from March to October. Although some liveaboards operate all year round, the best visibility (30m!) is the best from November to January. Peak season happens between April and August. 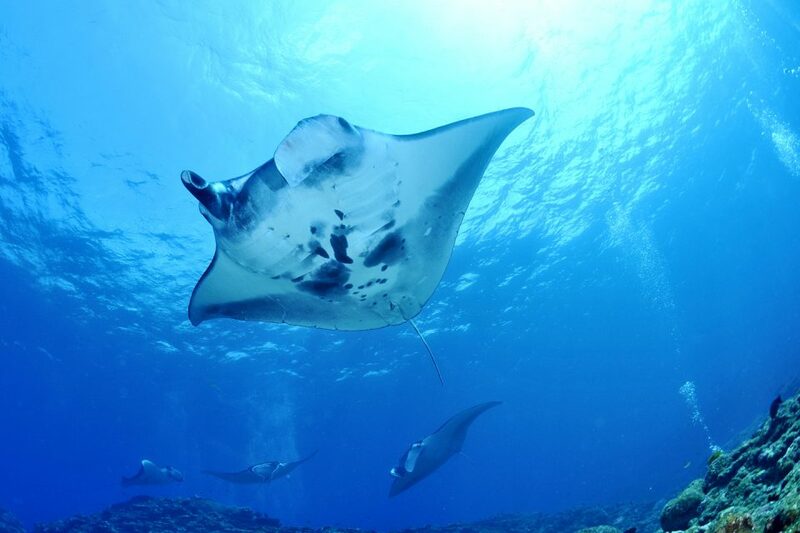 If you want to spot some manta rays, your best chances are December to Feb. However with that being said, I was able to swim with over 15 manta rays during my visit in August. For mola mola’s the best month is August. One of the things Komodo is known for its strong currents. With that being said, that’s also why the marine life here is vibrant and thriving. All the liveaboard boats are experienced in reading the tides, carefully choosing each dive site according to the weather. One of the best things about being on a liveaboard is you have a one up on all the other dive boats that do day trips as you can either do early morning dives or late afternoon dives to avoid the crowd. The islands of Komodo and Rinca act as a bottleneck between the Indian and Pacific Ocean, making the Komodo National Park sea a rollercoaster of currents and waves. Always trust your dive master and listen to when they advice you on currents and water patterns. 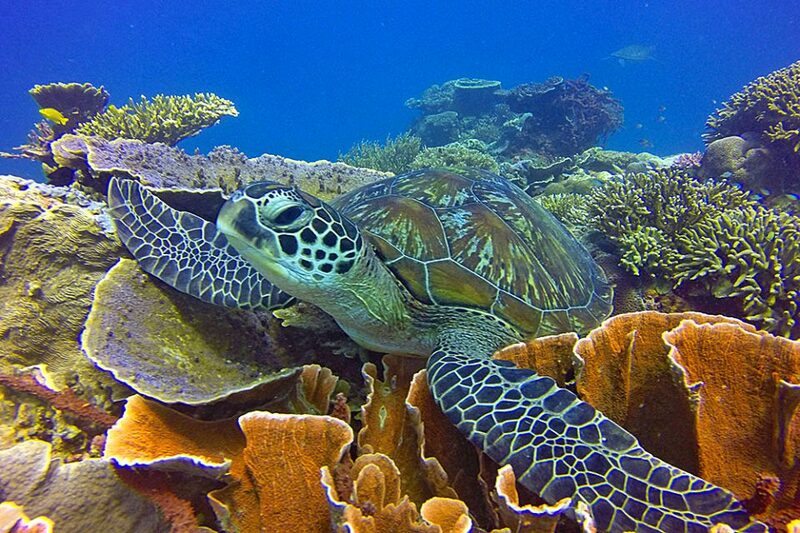 It is no understatement when I say that diving in the Komodo National Park is a fantastic experience. 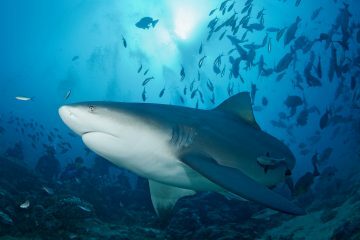 Be prepared to see untouched coral, large pelagics, sharks, and a wide variety of other underwater life. My experience diving there was unforgettable and is definitely something I highly recommend. Although there are some dive spots suitable for beginners, generally speaking, due to the currents, the dives here are a lot more challenging so having some experience under your belt is definitely recommended. What you can expect to see: manta rays, reef sharks, or even hammerhead and Grey sharks. I honestly felt like I was in a giant aquarium, slightly overwhelmed by the amount of things to see around me (not a bad problem to have when diving). 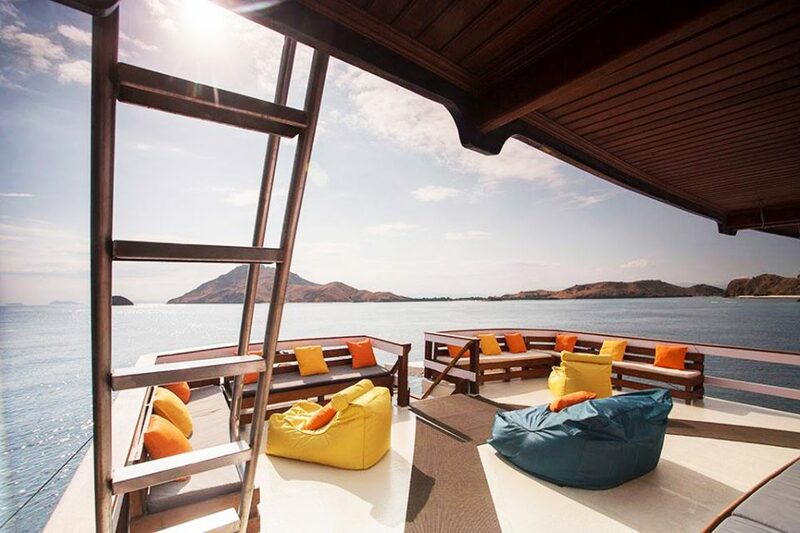 Apart from that, most liveaboard will also allow you to dock in the islands where you can see the famed Komodo Dragons. What you can expect to see: manta rays, reef sharks, or even Hammerhead and Grey sharks. Apart from that you also have a wide variety of fish from tuna, barracudas, turtles, to giant trevally. If you’re into macro photography, find loads of rare nudibranchs and pygmy sea horse. 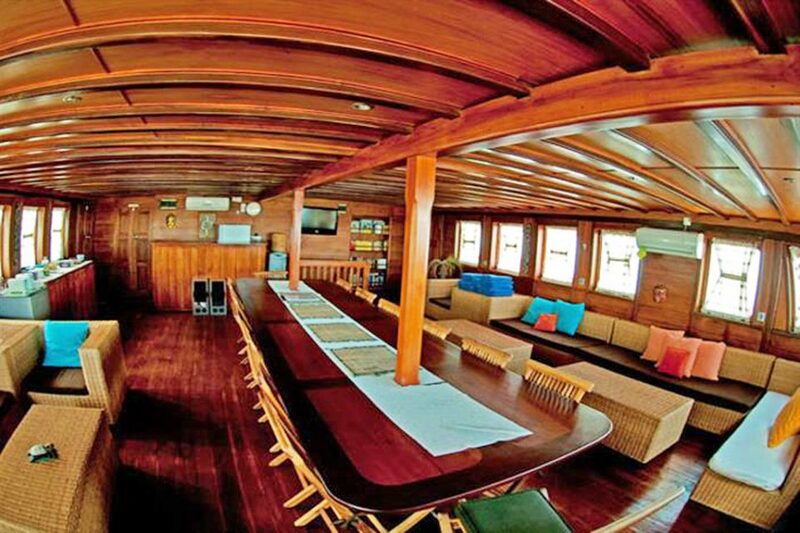 The two main departure points for the liveaboards are from Labuan Bajo or Bali. Bali is obviously an international hub with flights to Ngurah Rai International Airport (Denpasar) coming in from all over the world. 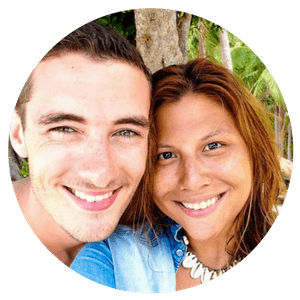 If your liveaboard leaves directly from Flores Island, you can catch a flight from Bali to Komodo Labuan Bajo Airport or look at Lombok boat trips. A lot of these liveaboards book out months in advance so it’s better to plan your trip ahead of time. 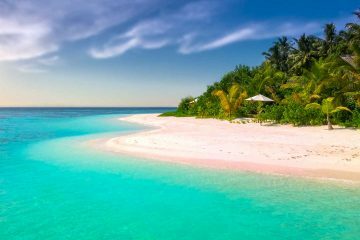 To get the best deals and find last-minute trips, head on over to Liveaboard.com which awesomely guarantees the best price possible. If you’re looking to board a liveaboard directly from Bali and travel to Komodo, most depart from Bima and Benoa, taking on sites in Lombok and Komodo National Park. There you have it! Our complete guide to help you choose the best liveaboard diving. When choosing which boat to go with, consider the route, your budget, and dive boat safety record. Most of the liveaboards require you to rent equipment so make sure your boat is well equipped in case you need to swap gear when needed. Apart from that, remember to pack a good travel book as you’ll want to make the most out of your dive down times. While choosing which boat to go with seems initially overwhelming due to the variety of options, narrow them down according to route and budget and go from there. Lastly, enjoy! The liveaboard diving in Komodo is a once in a lifetime experience which you are sure to remember for years to come. 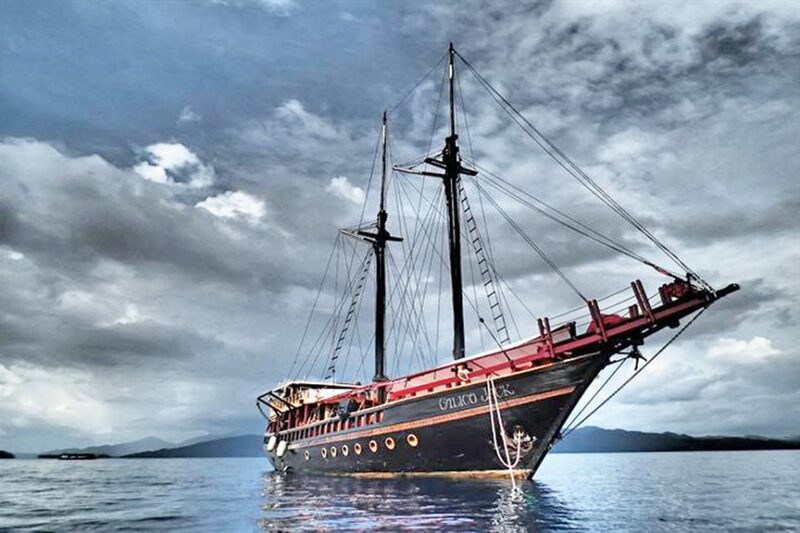 Last thing, another great option for liveaboard diving is in Raja Ampat. 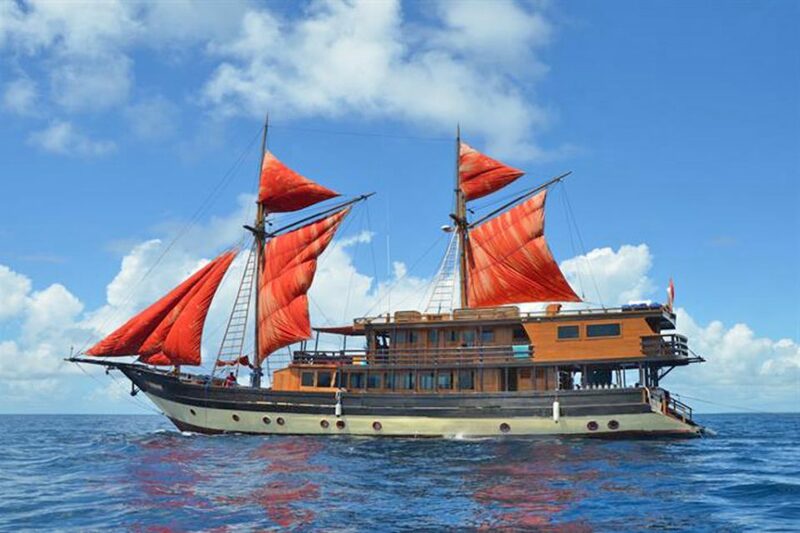 Feel free to also read our article, Raja Ampat Liveaboard Reviews, for more info on that. 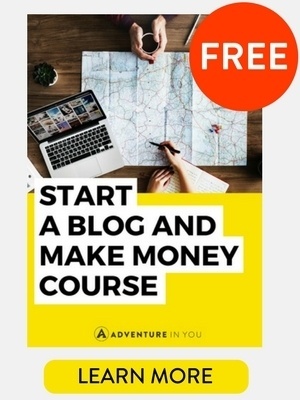 Disclosure: Some of the links in this article are affiliate links. 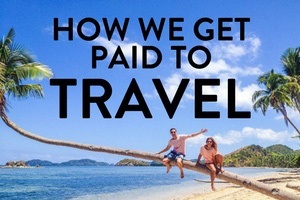 That means that if you book any of the liveaboards above, we get a small commission at NO EXTRA COST to you. This commission will help us maintain this site so we can keep producing awesome free content for you. Happy underwater exploring!